One system, which is beginning to grow in popularity among doctors and dentists, is a device known as the VEGA EXPERT bioresonance measuring device. The VEGA is a resonance bio-regulatory technique known as Vegetative Reflex test that was developed in Germany by Dr. Helmut Schimmel. Its origin comes from Electro-acupuncture according to Dr. Voll (EAV). It is a diagnose system to measure the electrical power of the acupuncture points. The VEGA comes with a hand-held electrical probe which the physician presses against the individual acupoint of interest. The patient holds a brass tube in one hand, which is connected by a wire to the VEGA Machine. By holding this tube, the patient permits a completed electrical circuit to occur when the metal-tipped probe touches the acupoint. The probe relays micro voltage electrical information from the acupoints to the VEGA Machine, where it is displayed on a type of voltmeter readout. Certain levels of electrical norms for the acupoints have been established by Voll's previous research. 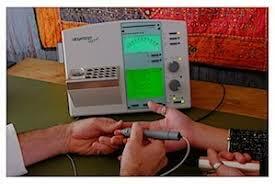 The electrical voltage level for a particular acupoint reflects the energy level of its meridian associated organ(s). The direction of electrical deviation from the norm can have important implications about the nature of the underlying problem in a particular meridian. For instance, an acupoint voltage that is lower than normal may be caused by degenerative disease within an organ system or by conditions which produce a low general vitality. Conversely, higher than normal acupoint voltage readings can be indicative of an underlying inflammatory process. The VEGA Machine allows one to carry out an energetic inventory of the functions of the different organs in a very detailed fashion. The energetic information may be in the form of too little or too much meridian electrical energy. This first step may give a clue as to the presence of degeneration or inflammation in the organ in question. WHAT IS THE SIGNIFICANCE OF THE VEGA TEST? The Vegetative Reflex Test (VRT) represents an advanced development of the "Electroacupuncture according to Voll" (EAV) concept. It features a combination of electronic measurements of skin resistance on specific energy meridian points that disclose vital health information through vegetative (autonomic) reflexes and resonances. When all conventional diagnostic tests (physical and biochemical) reveal no clues to the cause of a patient's complaints, the disorders are most likely functional in nature rather than morphological. The VRT reveals about 80% of the otherwise undiagnosable cases of migraines, backaches, exhaustion, sleep disturbance, etc. 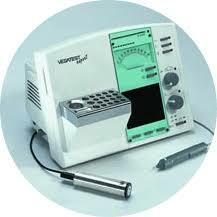 When conventional examination cannot fully or correctly explain the patient's complaints, the VRT is highly indicative. 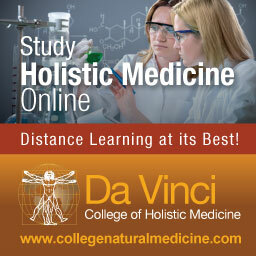 It is superbly suited for the diagnosis of functional ailments and of clinically obscure, sub-clinical disorders. These make up about 20% of all indications. In severe clinical cases with perplexing differential diagnosis, the VRT can be of decisive help. It can lead to wide-ranging diagnostic discoveries of utmost significance. The VRT is not, and cannot be, a substitute for conventional diagnostic procedures whenever they are indicated. Experienced physicians face the dilemma off and on. Up-to-date experience shows that the VRT achieves the greatest rate of diagnostic success in cases of functional disturbances. This is presumably due to the physical basis of the VRT, a diagnostic system that utilizes the phenomenon of biological resonance. 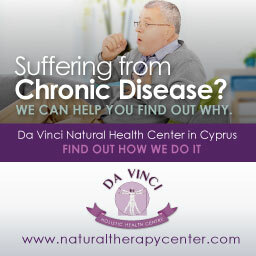 70% of patients in an average daily practice suffer from functional disorders manifested as chronic diseases. Conventionally, they are treated with chemotherapeutics. Functional disturbances cannot be confirmed by conventional diagnostics. 30-40% of conventional laboratory tests for patients with functional ailments yield negative results (nothing of significance is revealed). This often seems to be a justification for psychotherapeutic intervention. This, in most cases, is not productive. Such diagnostic shortcomings of conventional medicine, results in needless suffering, with waste of time and money. The VRT, which is subjective, is only as good as the clinician in charge. 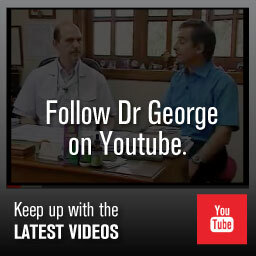 In the hands of a knowledgeable and experienced physician it can be of tremendous help to the patient. The indications for VRT diagnostics apply to chronically ill patients with functional and subclinical disturbances. Attempting to corroborate VRT findings with conventional diagnostics would make as little sense as trying to detect sound waves with optical instruments. Functional disturbances initially are neither chemical nor morphological. In Functional Medicine the VRT represents an important diagnostic method within the entire spectrum of diagnostic modalities. The VEGA Machine is capable of going beyond the diagnosis of energetic imbalance levels in particular systems. It is frequently capable of finding the actual causes of the energetic dysfunction, as well as potential cures for the disorders. The manner in which the VEGA Machine is able to carry out this type of analysis is a function of biological resonance. 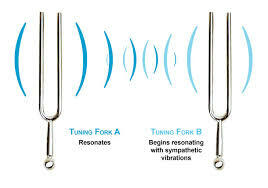 Resonance is a phenomenon which occurs throughout nature. At the level of the atom, we know that electrons whirl about the nucleus in certain energetically defined orbits. In order to move an electron from a lower to a higher orbit, a quantum of energy with very special frequency characteristics is required. An electron will only accept energy of the appropriate frequency to move from one energy level to another. If the electron falls from the higher to the lower orbit, it will radiate energy of that very same frequency. This required atomic frequency is referred to as the "resonant frequency." The phenomenon of resonance is the principle behind the imaging systems of MRI and EMR scanning. Atoms and molecules have special resonant frequencies that will only be excited by energies of very precise vibratory characteristics. For instance, the singer who is able to shatter a wine glass by delivering a high amplitude note does so by singing in the precise resonant frequency of the glass. Another definition of resonance has to do with the phenomenon of energy exchanged between tuned oscillators. Let us use as an example two perfectly tuned Stradivarius violins placed at opposite ends of a small room. If we pluck the E string of one violin, a careful observer will notice that the sister violin's E string will also begin to vibrate and "sing" in harmony. The reason that this occurs is because the E strings of the violins are carefully tuned and responsive to a particular frequency. The E strings can accept energy in the E frequency because that is their resonant frequency. The E strings of the violins are like the electrons of the atoms. They will vibrate at a new energy level only if they are exposed to energy of their reflection of the level of functioning of the immune system. From an energetic standpoint, the human body, when weakened or shifted from equilibrium, oscillates at a different and less harmonious frequency than when healthy. This abnormal frequency reflects a general state of cellular energetic imbalance within the physical body. When a weakened individual is unable to shift his/her energetic mode to the needed frequency (which allows their immune system to properly defend the body), a certain amount of subtle energetic help may be needed. If this same individual is supplied with a dose of the needed energetic frequency, it allows the cellular bioenergetic systems to resonate in the proper vibrational mode, thereby throwing off the toxicities of the illness. This frequency-specific subtle-energy boost allows the physical body and associated bioenergy systems to return to a new level of homeostasis. Providing this needed subtle-energy boost through choosing the right homeopathic remedy is one of the key concepts of homeopathic practice. 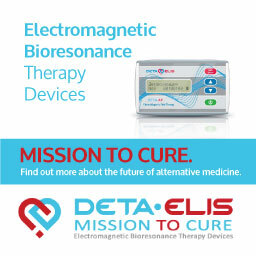 Another way of providing this subtle-energy boost is by using bioresonance therapy, using machines such as the VEGA SELECT and the BICOM. Using BACH Flower remedies, as well as Rife technologies are other ways of returning the body to a level of homeostasis. HOW DOES THE VEGA MACHINE WORK? Attached to the VEGA Machine is a small, metallic platform (sometimes called a honeycomb) in which cylindrical holes have been drilled. Each hole can hold a small ampule of medication or food to be tested. This metallic table is attached to the VEGA system. EAV researchers have discovered that any substance placed upon the metallic table becomes part of the energetic circuit of the VEGA Machine. When the EAV practitioner first touches the probe to the acupoints for energetic reading analysis, he or she does so with nothing on the metallic accessory table in order to examine baseline meridian conditions. Once the initial electrical readings have been taken, the absolute level of microvoltage on the meter tells the practitioner if the acupoint and associated meridian are electrically normal or in a state of energetic imbalance. If the acupoint is found to be out of balance, the practitioner may then place various homeopathic remedies upon the electrical accessory table in order to observe the changes in the acupoint electrical readout. Any substance that is placed upon the metallic table becomes part of the energetic circuit. It is believed that certain aspects of the remedy's subtle energetic patterns are conducted over electrical wires, in a fashion similar to electricity. For most remedies placed in the energetic circuit, additional acupoint electrical readings will reveal no significant changes from the initial measurement. However, when a remedy is placed on the metallic table which matches the frequency of the energetic imbalance of the patient, a resonance effect occurs, and a significant change in the acupoint reading is observed. Utilizing the VEGA Machine, the patient is linked through his/her acupoint meridian interface with the needed subtle energetic frequency. A resonance effect occurs between the patient and the circuitry. In the case of the VEGA Machine, individual frequencies are tested one at a time by placing a small portion of substance of a particular subtle energetic frequency into the circuit - the patient is exposed to a particular energetic frequency. The only energetic frequency which has diagnostic significance is one which resonates with a relevant biological frequency of the organism being tested. 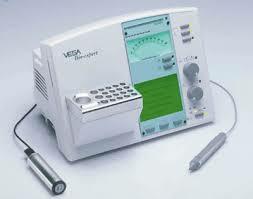 The VEGA will measure variation in electrical outputs on a voltmeter readout from an acupuncture point. WHAT CAN BE MEASURED ON THE VEGA? It was mentioned earlier that the VEGA Machine was capable of demonstrating the causes of illnesses. 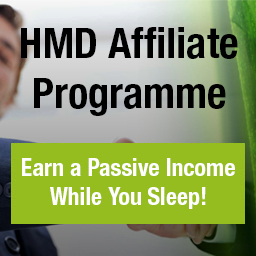 The way in which this is accomplished is through testing different types of homeopathic bionosodes on the VEGA Machine platform. 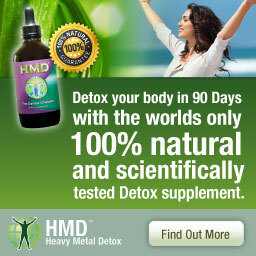 Homeopathic remedies can be prepared from any substance, be it plant, animal, or mineral. In the case of the bionosode, a small portion of tissue from a diseased organ is ground up and used to prepare a homeopathic remedy. Because there are no physical molecules left in the final homeopathic remedy, only the energetic essence of the tissue and local pathogens remain. The absence of physical pathogens such as bacteria and viruses in the homeopathic preparation means that the bionosode is incapable of directly transmitting illness to a patient receiving this remedy. If the illness was caused by a particular bacterium or virus, then only its energetic signature remains in the bionosode. Various bionosodes of suspected pathogens would be sequentially tested by placing them upon the metallic accessory table. If indeed the pathogen is Salmonella, placing a bionosode prepared from the Salmonella bacterium on the metal accessory table would produce a significant resonance reaction in the meridian electrical readout, with a resulting drop on the voltmeter of the VEGA Machine. If a significant reaction occurs, it is confirmed by examining the acupoint's reaction to particular homeopathic strengths of the bionosode in order to find the perfect amplitude of frequency match between patient and remedy. Having found the exact remedy strength, the bionosode could be given to the patient either as a pill, sublingual liquid, or intramuscular injection. The correct frequency match would be confirmed by the rapid resolution of the patient's symptoms upon taking the homeopathic remedy. WHAT CAN BE DIAGNOSED BY THE VEGA? Discovery of pathophysiologic processes that escape the standard clinical examination. Determination of the existence of focal infections. Energetic- functional condition of different organs. Condition of the immune system and of the immune- related tissues (spleen, thymus, etc.). Quantity of available energy, weak, strong average. Insight into the basic pathogenetic patterns as well as causal relationships in form of causal chains and nets. Monitoring of therapeutic progress with quick review of indications for medication. Uncovering of potentially refractory side effects (for instance allergic reactions). The VEGA VRT is an enrichment and enlargement of clinical diagnosis. It has the potential to uncover previously unsuspected dysregulations in advance of the clinical manifestation of disease so that preventive measures could be put in effect timely. At the Da Vinci Holistic Health Centre, most clients undergo VEGA bio-dermal testing - a simple, non-intrusive diagnostic method which involves placing an electrode on acu-points of the body (usually fingers and toes). All the organs of the body can be checked for function, as well as allergies to foods, dust, pollens, drugs, etc. and anything else that is suspected. It is also possible to test whether drugs or natural substances will have side effects BEFORE actually taking the active substance. It is truly a wonderful and cost-effective way of quickly determining the function of most body organs and tissues, as well as understanding the genesis of the dysfunctions. Dr. Georgiou has been using the VEGA Expert over the last 20 years and has received extensive training from VEGA's headquarters in Schiltack, Germany as well as further training in the UK.